The quality of indoor air can have a significant impact on our health, especially for those of us who spend a lot of time at home. More oxygen in the air can have many benefits for pulmonary fibrosis patients and their families. A boost in oxygen can help you feel more awake, stave off headaches and help reduce your respiratory symptoms. People who suffer from lung diseases like pulmonary fibrosis are always looking for easy ways to get more oxygen. While many patients take advantage of options like exercising their lungs and adding oxygenators or air purifiers, there are some natural methods to help increase levels of oxygen in the air to benefit the mind and the body. 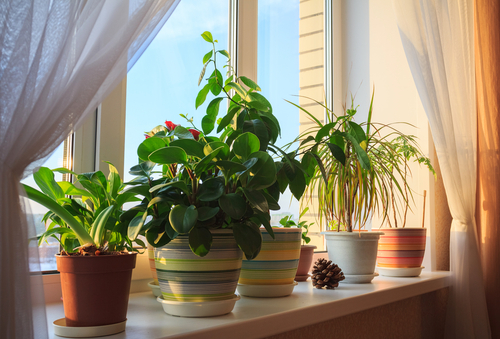 A simple way to increase the oxygen in any room of your home is to open a window. If your home isn’t adequately ventilated, it can feel stuffy and exacerbate your respiratory symptoms. The fresh air from opening a window will bring in oxygen allowing your body to absorb it in higher concentrations every time you breathe, talk or open your mouth. If you don’t have many windows or you live in a very hot or very cold climate, consider installing a vent to get air where you need it. If you live in an area prone to smog, consider running an air purification system. Trees produce a significant amount of oxygen while removing pollutants and carbon dioxide from the air. When you plant trees around your house, you’ll add oxygen to the air that flows into your home through vents and windows, while also providing shade that can work to reduce your need to run air conditioners that remove oxygen. 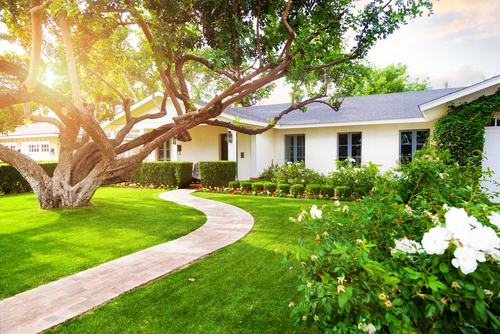 According to the non-profit organization Tree Folks, each tree added to your yard will generate over $30,000 worth of oxygen. Trees will also beautify your outdoor space and add to the resale value of your home. Recommended by NASA, the Money Plant is well known for its ability to remove pollutants and hazardous chemicals from the air like formaldehyde and benzene. It prefers indirect light and should be watered about once a week. Keep this plant away from dogs, cats and small children because it’s leaves can be toxic if they are ingested. One of the most common household plants, the Chinese Evergreen emits high levels of oxygen while it purifies indoor air. It is popular in China for its ability to remove harmful air pollutants that are rampant in the region. This plant does best in full shade and should only be watered occasionally to keep the soil moist. This beautiful flower is known for its ability to emit high levels of oxygen during the nighttime hours while filtering out harmful chemicals like trichloroethylene and benzene. This is an ideal houseplant for people who suffer from nighttime breathing problems or sleep apnea, so keep it in your bedroom to promote restful sleep. During the fall, spring and summer, the Gerbera Daisy needs direct sunlight but prefers indirect light during the winter. Water it regularly so the soil is always kept moist. The snake plant, also known humorously as Mother-in-Law’s Tongue, is highly efficient at producing indoor oxygen. It is more active at night and can purify indoor air by removing xylene, toluene, benzene and formaldehyde. It will do well in window light and needs to be watered about once a week. The Areca Palm works hard to release oxygen while taking in carbon dioxide from the air. It also purifies the environment in your home by pulling in harmful chemicals. The Areca Palm prefers filtered light, likes to be watered often and looks great in the living room.